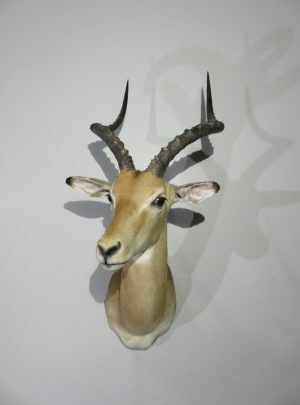 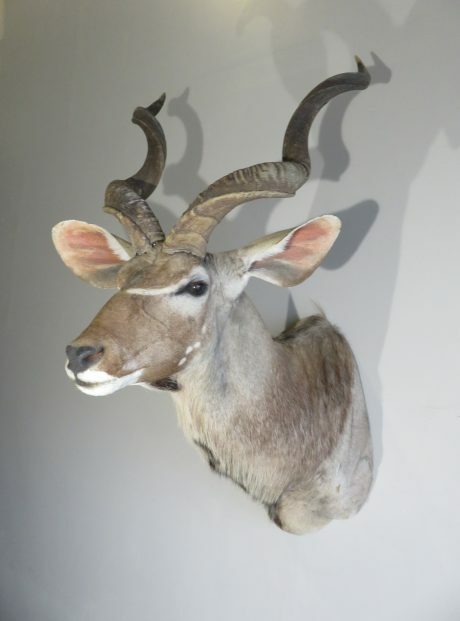 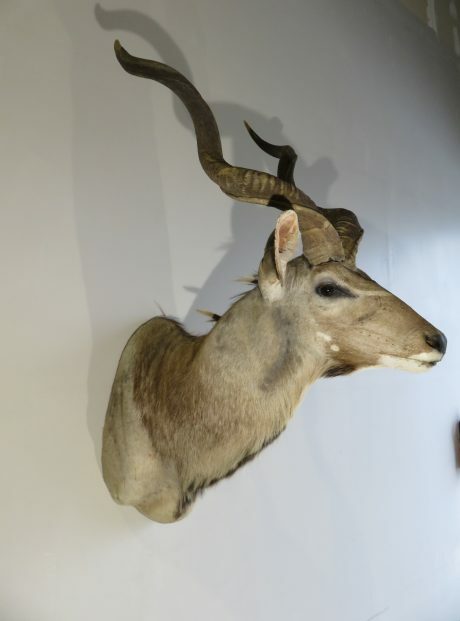 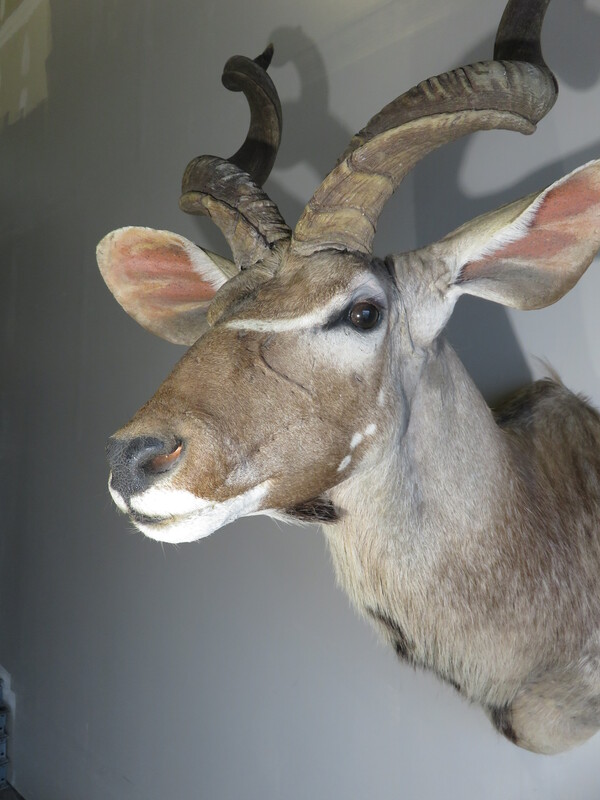 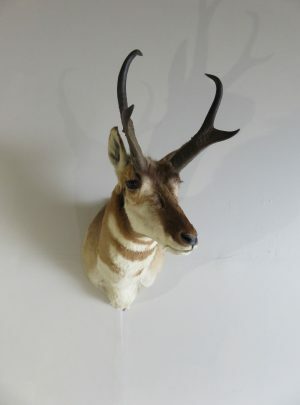 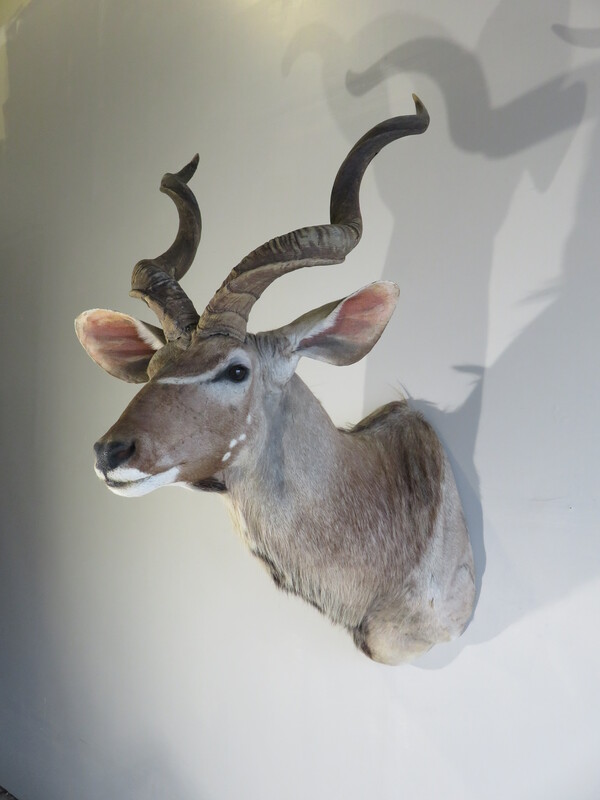 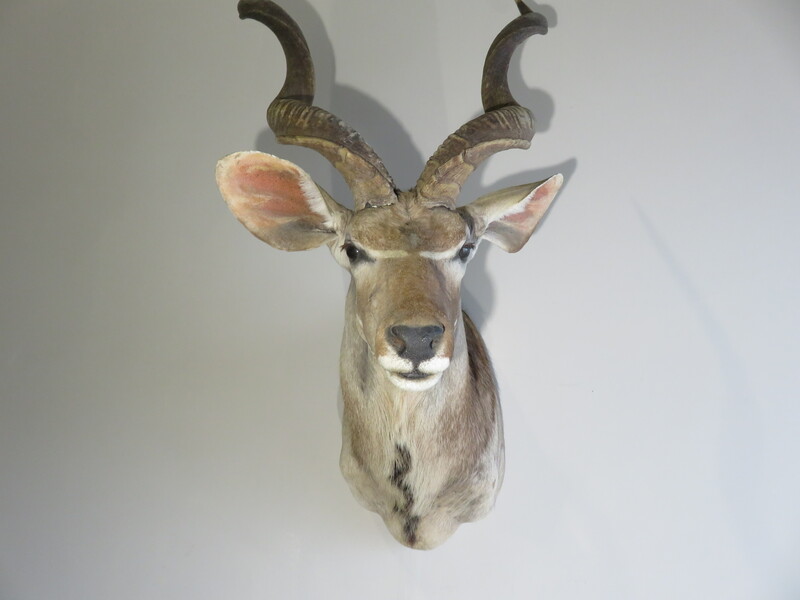 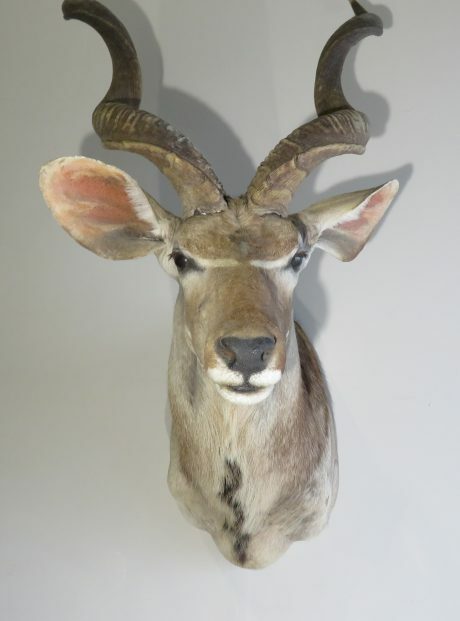 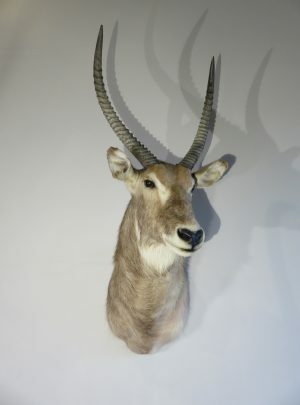 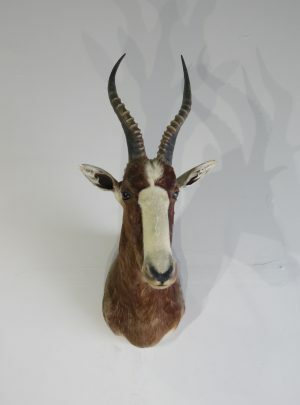 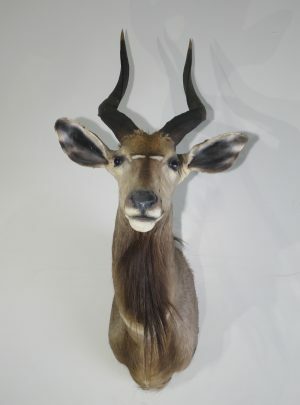 This is a great Kudu mount from South Africa. 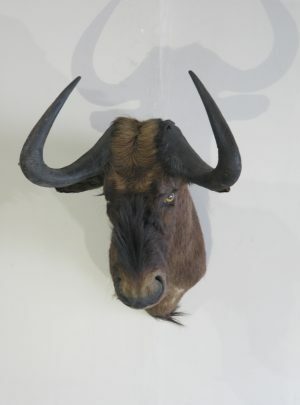 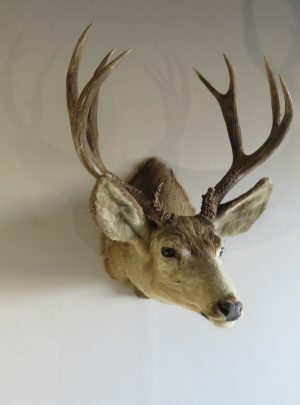 A very nice sized bull with good horns that measure 27″ outside to outside at the widest point. 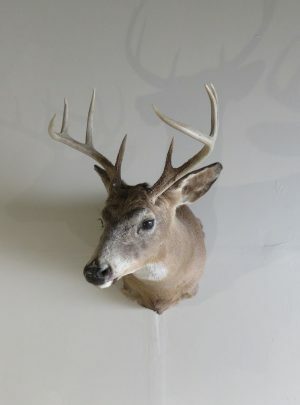 Tip to tip measurement is 23 4/8″ (inches) wide. 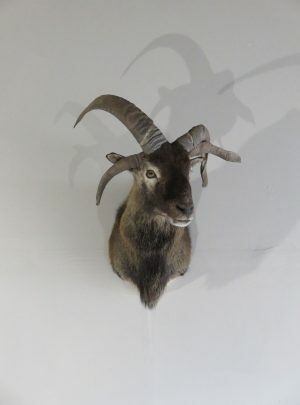 This mount has detachable horns making it easier for shipping/transporting as well as cleaning! 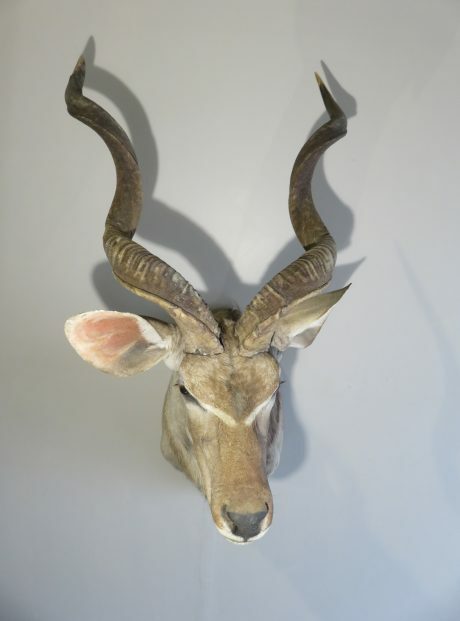 Please note that horns have small damage at bases from improper storage at some point in the past. 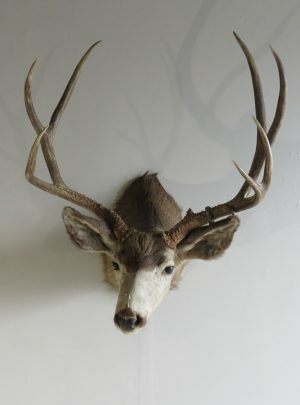 (See attached photos) Even with light damage, he is a nice sized bull with good coloring and would make a great addition to any collection. 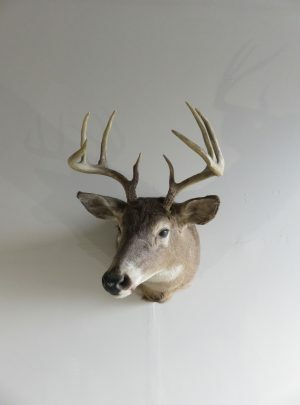 Overall mount dimensions are: 58″ high by 30″ width by 41″ depth (distance from wall into the room). 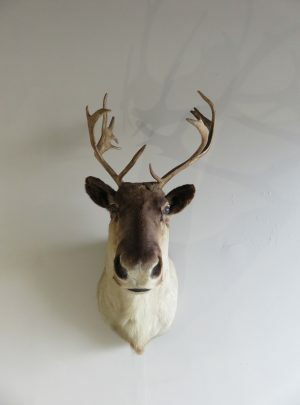 He has his head turned slightly to his left looking into the room with his head up. 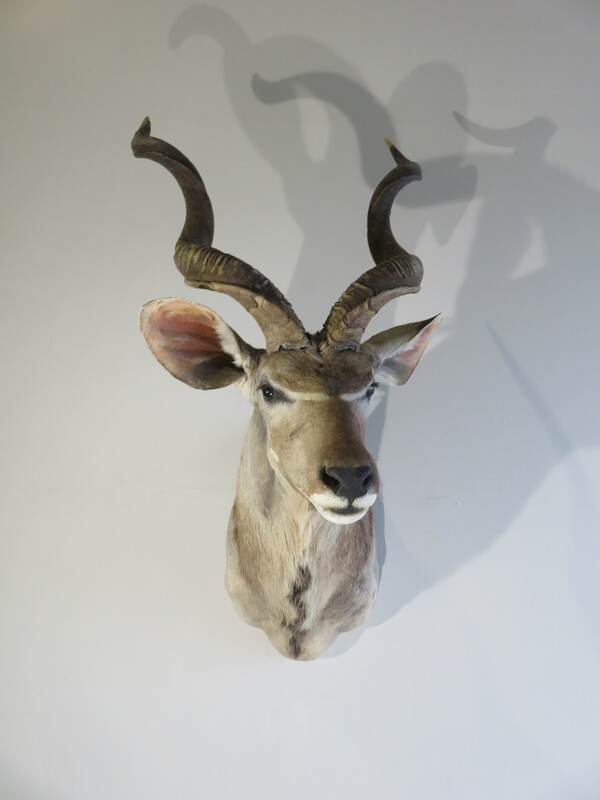 A stately pose and commanding presence. 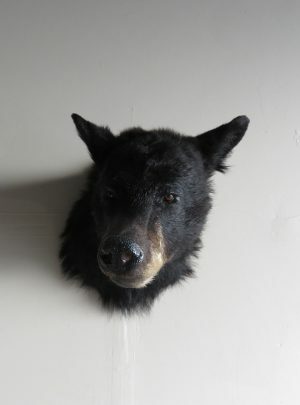 This would make a great looking piece for the home, lodge or business. 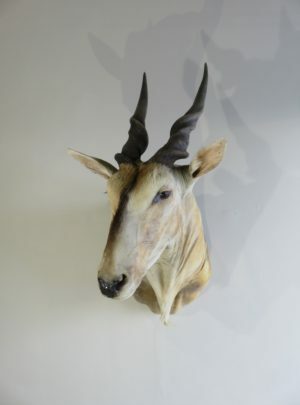 Would compliment a collection of exotic species or as a stand alone item for display.